To which side of the page is your eye more drawn? Autobot left or Decepticon right? While you're deciding, note that Bruticus is looking a little microcephalic. 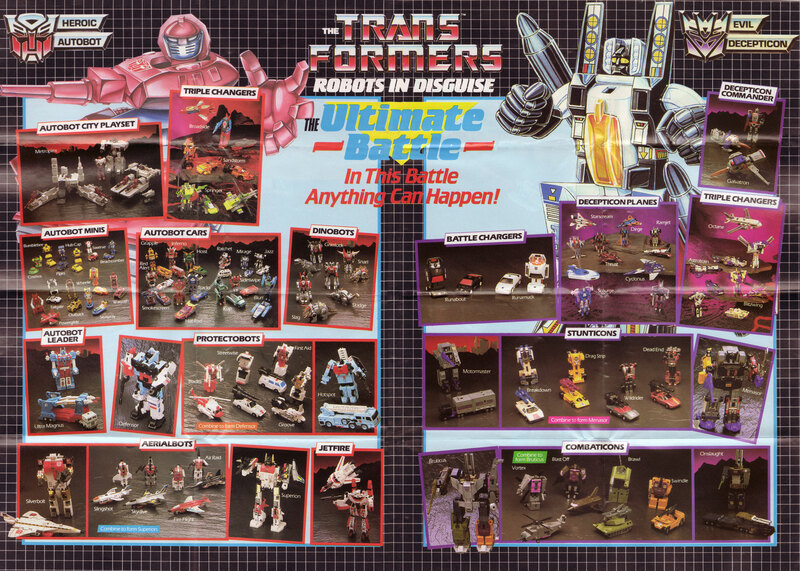 Especially notable is the early version of Broadside, which corresponds to the character model that erroneously shows up in the Marvel comic and some episodes of the cartoon. I also note the interesting use of Metroplex bits as a "cityscape" background in some of the photos (easiest to see them in Motormaster's picture).